Product code: 700 Categories: Sold Items, Sold Jewellery. 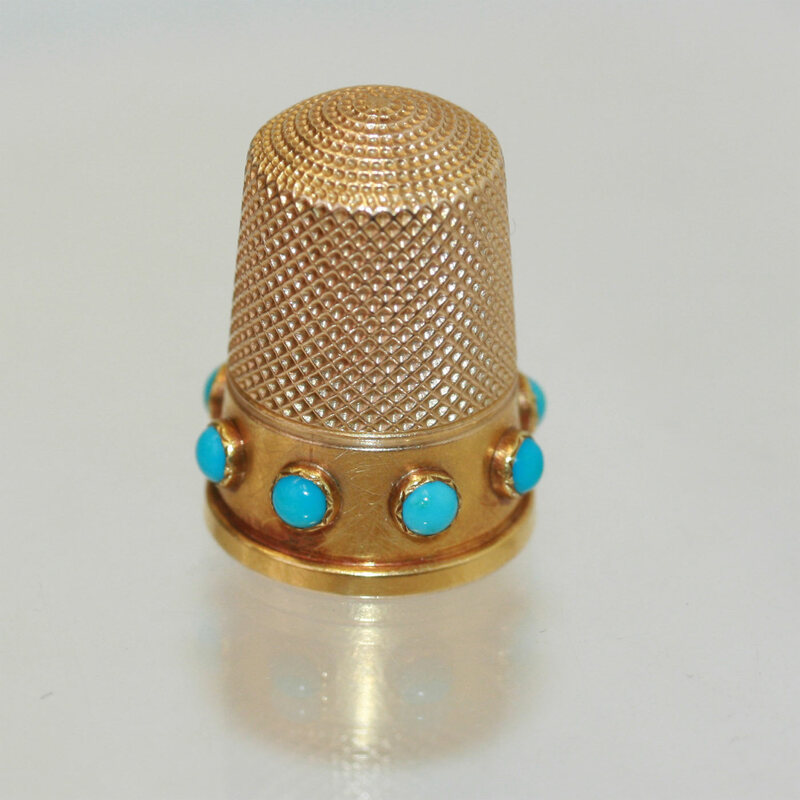 If you are after an antique solid gold thimble with a difference, then this is it. 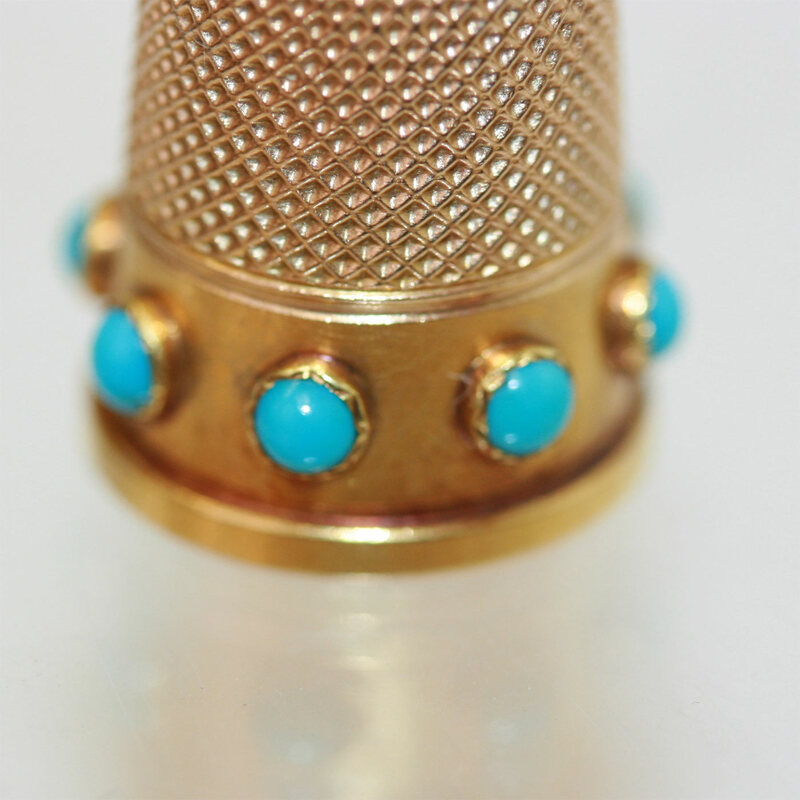 A sensational 18ct yellow gold antique thimble set with a total of 8 natural pieces of turquoise. Dating from the 1890’s, it measures 23mm in height, and is still in perfect condition.